I’ve often said that cacti are “Armed and Dangerous”, but when they bloom, they produce some of the most exquisite blossoms I’ve ever seen. At this time of the year, they are “On Stage” and I get a front row seat as they explode in beautiful colors, and some in tremendous sizes! Our Opuntias and Tricholobivia hybrids are breathtaking, and only a photo can do them justice…or coming to see them for yourself. They are always surprising us…one day the white will be spectacular…two days later, the brilliant red…or pink; Before long, another joins the chorus of color. What is astounding to me is how these pads and columns of sharp spikes that keep us at a safe distance, can deliver such an alluring flower. Obviously, like us, they hold unseen treasures deep within. Only at the right moment can they be observed and appreciated to their fullest. 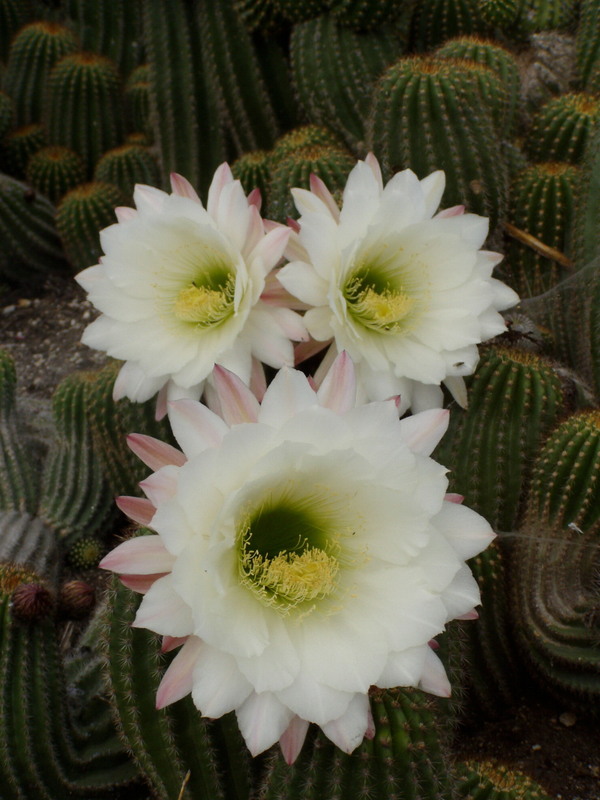 There is a time for all seasons…and very shortly will be the season to experience the “treasure” of the Cactus Flowers…You are Invited to the Show. Tom Jesch, of Waterwise Botanicals has devoted the last few decades to developing a line of winter-hardy cactus, some of his own hybrids, some out of horticulture, and some collected from secret places in the high mountain forests. Now for the first time, he is releasing and presenting them to the public! 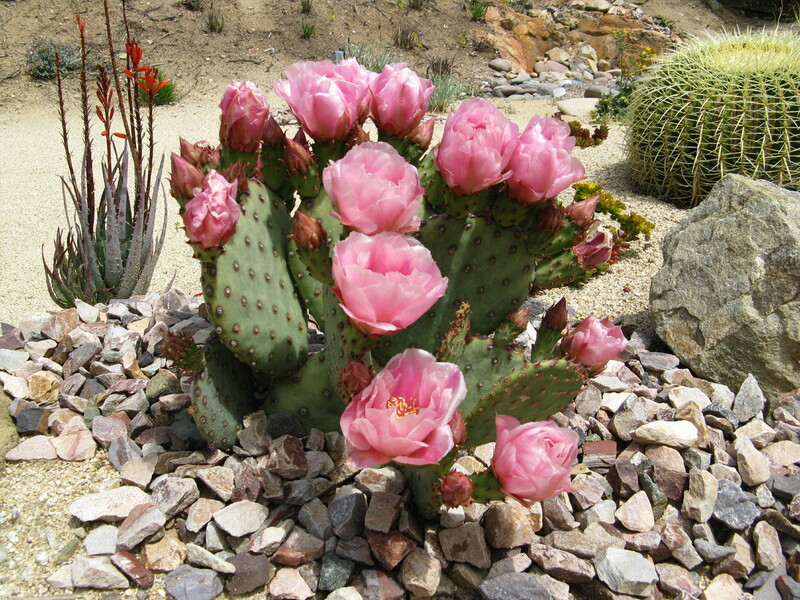 Come and see thousands of incredible landscape Cactus in full bloom, staged for your enjoyment and delight at Waterwise Botanicals! Bloom time starts in March, and extends through early May. On April 8th, 2016, world renowned succulent guru and author, Debra Lee Baldwin will co-host a flowering cactus event with Tom at Waterwise Botanicals. 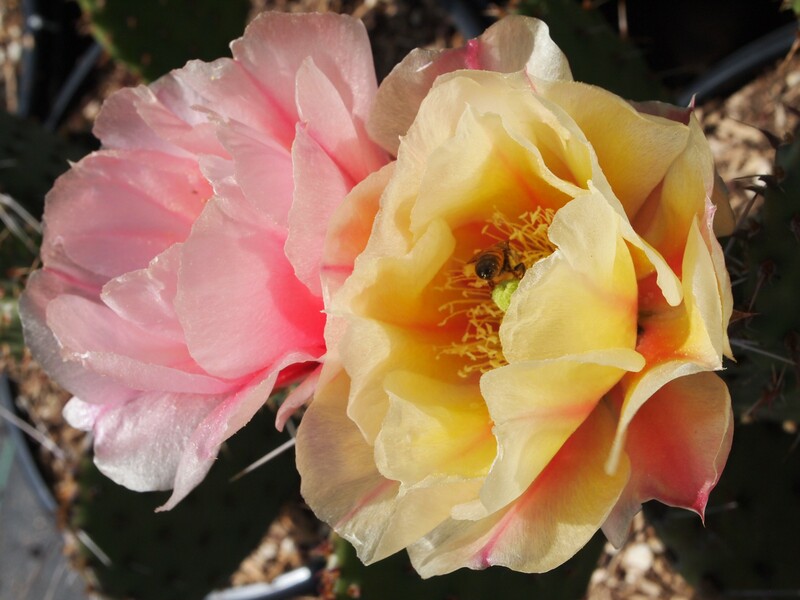 Join us for a day that you will never forget…among the cactus flowers!